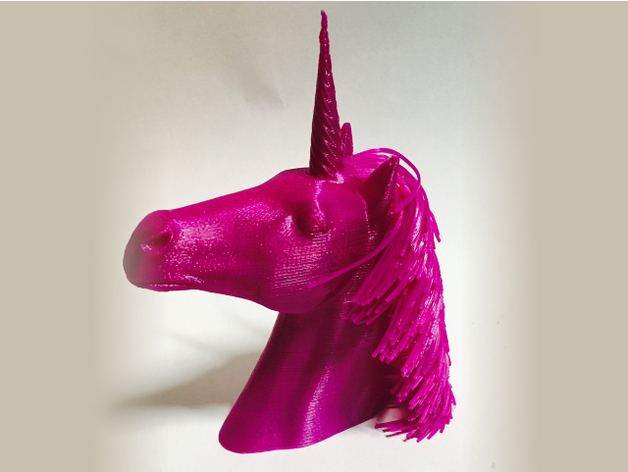 Hairy Unicorn (plus dual extrusion version) #3DPrinting #3DThursday « Adafruit Industries – Makers, hackers, artists, designers and engineers! Geoffrey shared this project on Thingiverse! Printed in Torwell’s purple PLA. and I thought yeah that’s actually a good idea and so here is a Hairy Unicorn. If you have a good idea for something hairy let me know in the comments and it might make the next one! Perhaps the gnome next who knows if I can get some time. This is a pretty simple and quick print, mine took 1 hour and 48 minutes.